Charge your iPod at home or while driving. 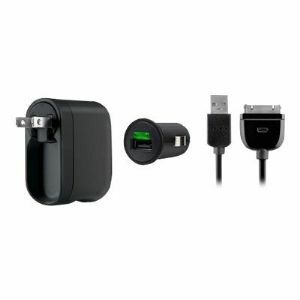 Get unlimited play and standby time with a compact charging kit. Folding prongs make it simple to stick the wall charger in a travel bag or glove compartment. 4-foot ChargeSync cable lets you connect to your desktop or laptop computer too.